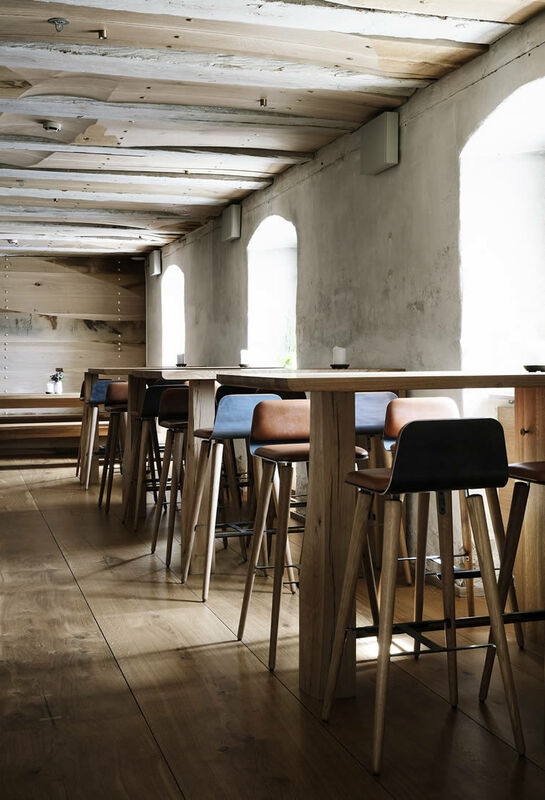 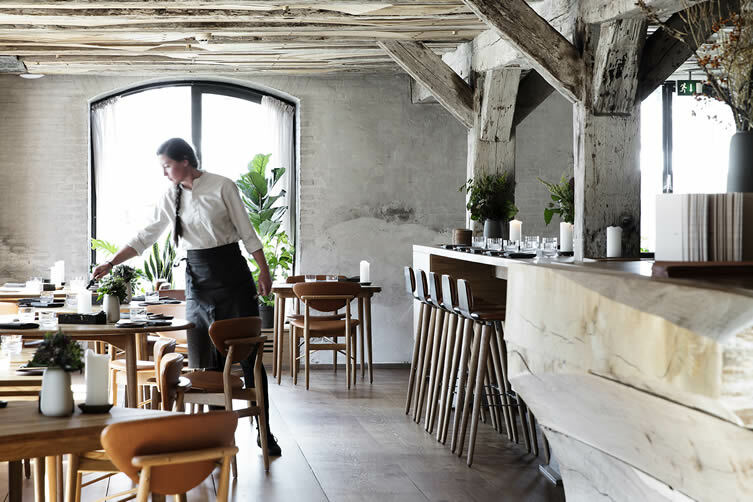 Chef and restaurateur Thorsten Schmidt’s new Copenhagen restaurant celebrates the food and drink traditions of the North Sea region, in a cool northern European-Scandi setting that will be familiar to gastronomy connoisseurs and a select group of exceedingly lucky diners. 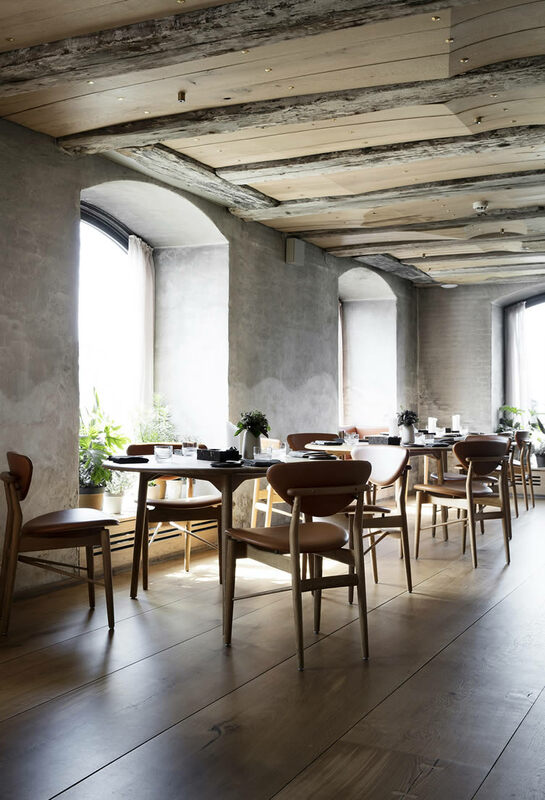 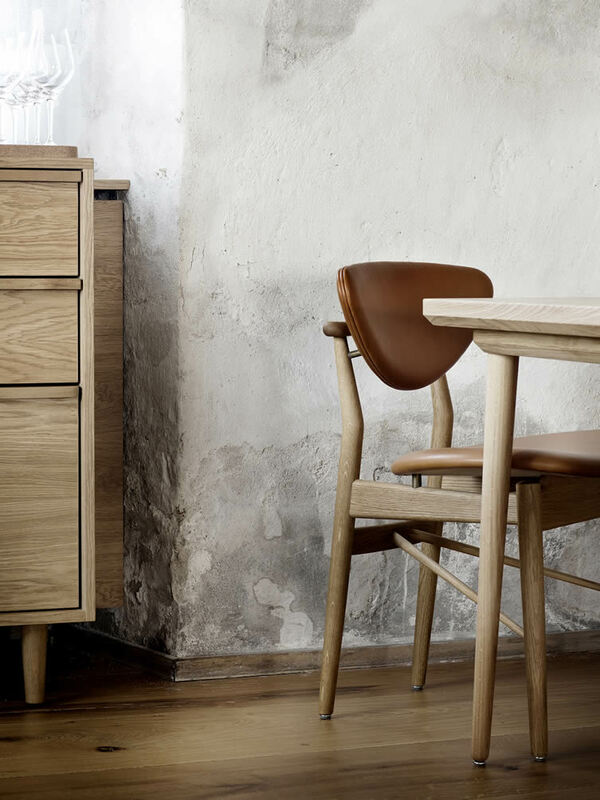 Located at Strandgade 93, the former home of noma restaurant, Barr (which has been opened in partnership with René Redzepi) is a sixty-seat restaurant with thirty-seat bar; and represents the coming together of two long time friends. 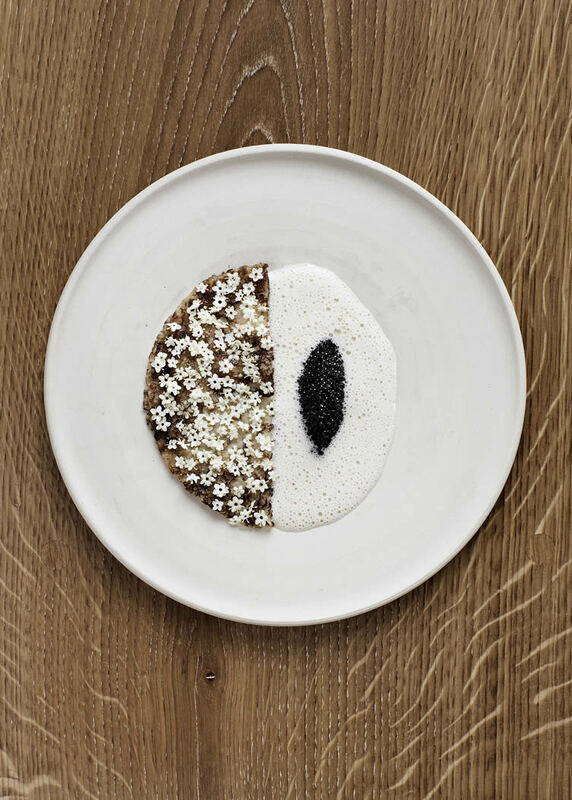 Together, Thorsten and René have created a casual dining experience that not only focusses on the Nordics, but with traditions from Scandinavia, Germany, Benelux and the British Isles; an à la carte menu will change according to the season. 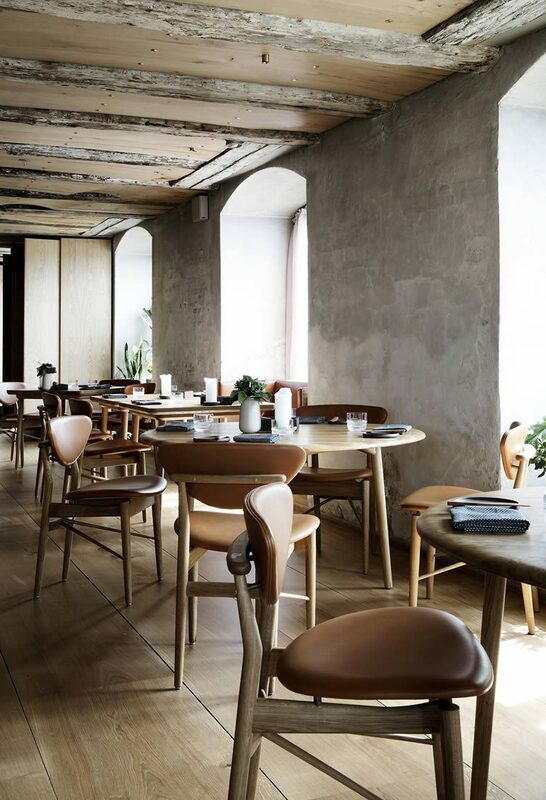 Oslo-based design gurus Snøhetta put together the revised interiors and graphic identity for the restaurant, working closely with Schmidt and Redzepi to create a space that provided a connection to noma whilst, at the same time, enhanced the identity of Barr itself. 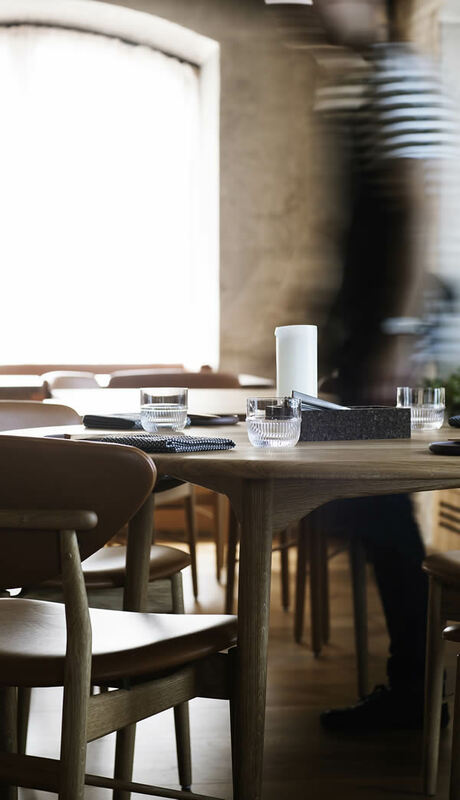 ‘Designing within the context of a listed building meant that we needed to understand the space carefully,’ commented senior interior architect, Peter Girgis. 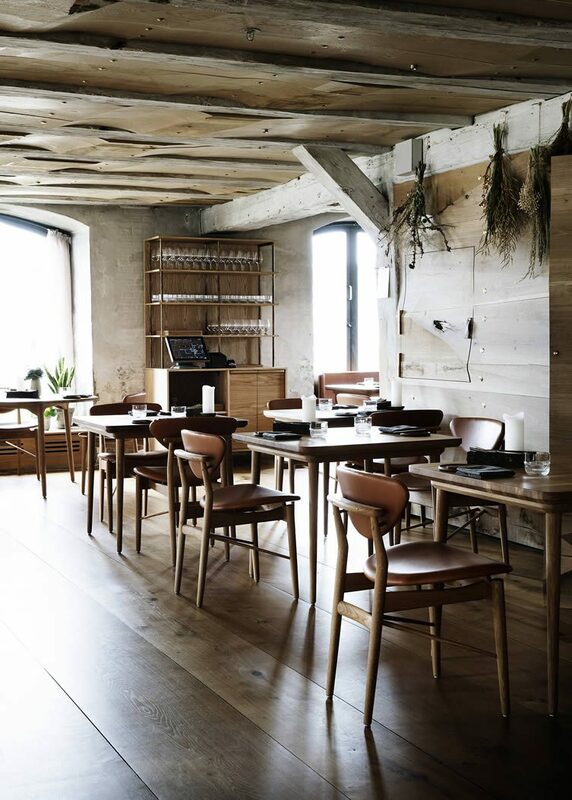 A juxtaposition of old and new features heavily throughout — warm oak floors against original stone walls; subtle sculptural design twists meet original beams — whilst the use of raw materials like wood, leather and wool evoke the restaurant’s northern influence. 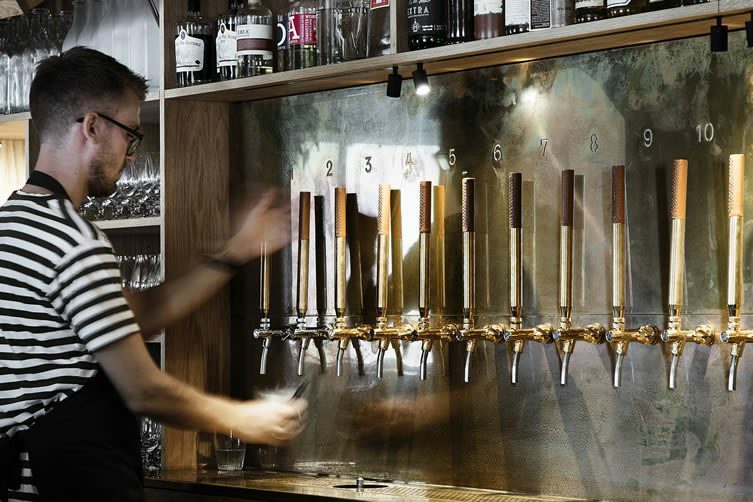 Admitting to a fondness for the use of marmite in British cooking, and humble dishes like Danish meatballs and schnitzel, Schmidt’s vision for Barr is one of honesty and authenticity — a wide array of carefully curated craft beers are on hand to wash down the wares, and a bar menu of treats like grilled duck hearts and beer sausages confirm the duo’s restaurant as a casual spot that demands regular visits. 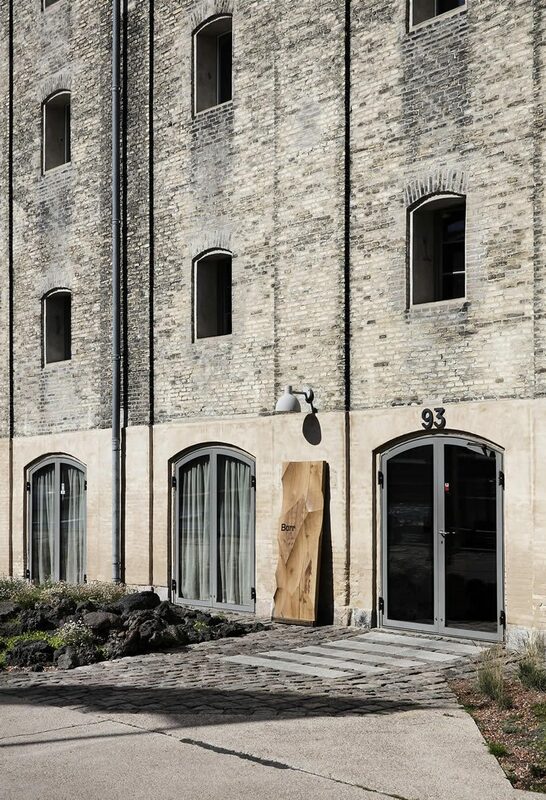 Not just another Nordic restaurant. 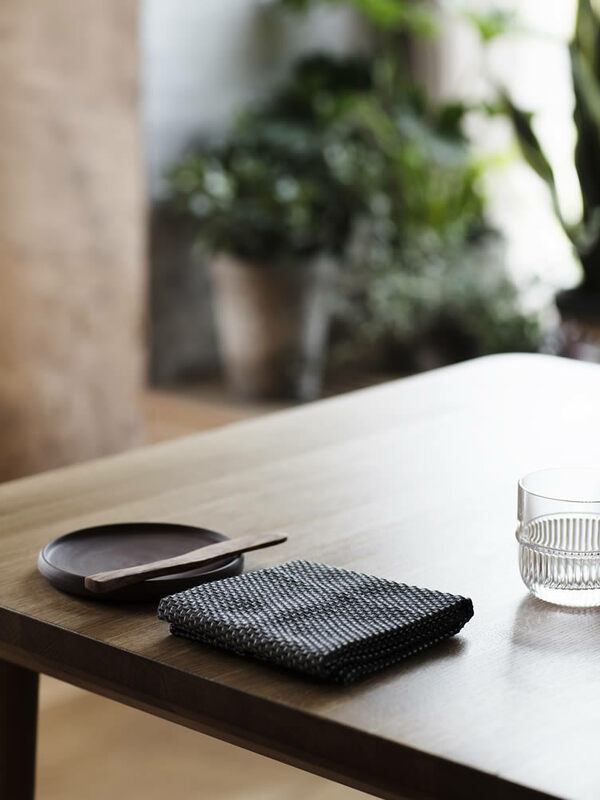 At all.